LG Electronics (LG) has announced that it has received an energy efficiency label from the prestigious Eurovent certification organisation for its advanced Multi V IV Variable Refrigerant Flow (VRF) system.. The prestigious 19th century Whitworth Art Gallery has undergone a £15 million redevelopment project. Warmup says that it prides itself on providing the best products and services possible. Marflow Hydronics has enhanced the product section on its website to provide customers with a wealth of information at their fingertips. 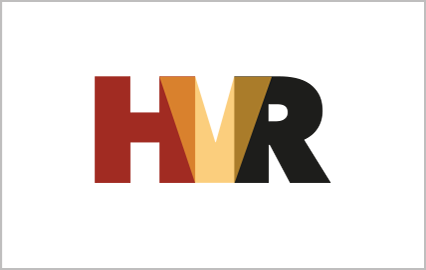 Independent H&V design and supply company, Supply Air Ltd, has been awarded the prestigious Amalva-Komfovent UK distribution rights for its full range of heat recovery and energy efficient air handling products manufactured to Eurovent standard in Lithuania. Don’t wait for the warm weather to arrive before installing an air cooling system – you need to ensure your industrial or commercial premises will stand the heat. Construction is underway at Askham Bryan College, the agricultural and land management college based in York. 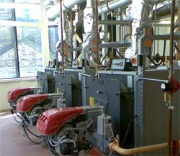 As part of its Prefabrication product portfolio, Marflow Hydronics is offering customers the chance to have either larger, more bespoke items made to detailed specifications or more compact, standard items with a far quicker turnaround time. The GDL Intelivent Natural Ventilation Brochure has been updated to incorporate GDL's latest product lines with a revamped style and is now available in either a hard copy or electronically via the company's website. 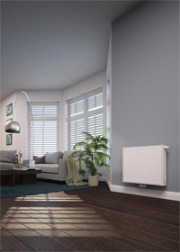 Stelrad has launched a new series of six selected radiator ranges under the Stelrad Vita branding. 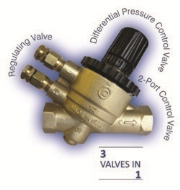 Marflow Hydronics is dedicated to providing customers with a complete range of valves and associated products. 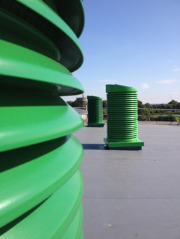 Firestopping of plastic ventilation ducting – to CE or not to CE? The ventilation industry, in particular the ducting and damper manufacturers, have been at the forefront of CE Marking when it comes to fire protection. 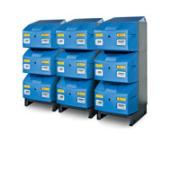 In response to market demand the latest generation Wessex ModuMax condensing boilers from Hamworthy Heating are now able to operate at 30°C differential temperatures. 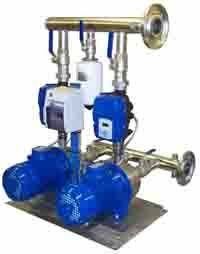 Marflow Hydronics has launched a brand new Valve Set: Xterminator® Lite. Limiting the spread of smoke and fire is a key consideration for any building owner, and to ensure maximum protection, Kingspan Tarec has now unveiled the Kingspan Tarec Kooltherm FireSleeve, a slim solution which expands to several times its normal size in the event of fire, helping to seal service penetrations and can reinstate the original fire rating of a building element. Three Stokvis 1.5MW boilers fitted with Riello modulating burners have been supplied to The Leadenhall Building in the City of London to provide space heating throughout the building.